Brittany's goal has always been to one day have her own salon, and after eight years in this industry, she is so proud to say that she has finally accomplished that goal! Beauty Mark Hair Studio is a full service hair and makeup salon. It is located in Turkey Creek, it is a private studio, giving clients a chance to really have one-on-one attention with Brittany. 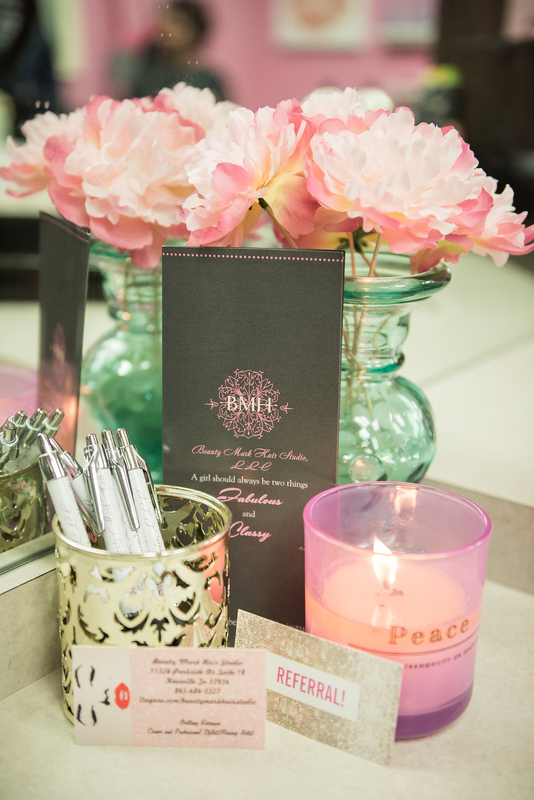 Whether you are getting a hair cut, an updo for your wedding, or a color service, you have the whole salon to yourself. 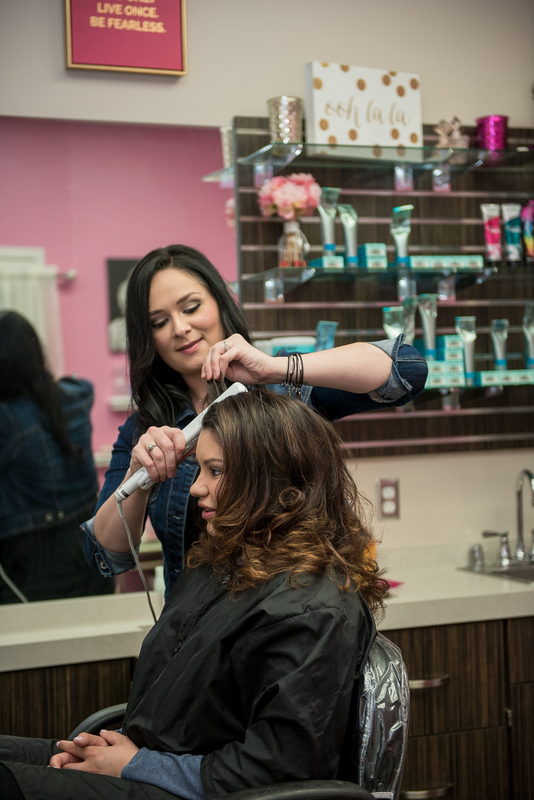 Being able to truly enjoy your experience and to relax is one of the most important things about going to a salon, you are there to be pampered, at Beauty Mark Hair Studio, that is Brittany's number one goal! Brittany Robinson is the owner of Beauty Mark Hair Studio. Being a cosmetologist and makeup artist is something that Brittany has always wanted to do, ever since she was a little girl. Growing up in a salon taught her that this industry wasn't just about "doing hair", but more about how you make your client feel. It's true when they say, "if your hair looks good, you can accomplish anything." Giving her clients confidence in their appearance is such a reward! Brittany is not here to make you look better, but rather to enhance your beauty. When a client comes in to her salon, she always strives to make it the best experience for her clients and to make sure they leave KNOWING and FEELING that they are beautiful. Brittany always makes it an important goal to continue her education on color, haircutting, and makeup techniques. Styles and trends are constantly changing, staying up to date is so very important. Brittany is a color specialist and also specialize in airbrush makeup. Brittany has worked with two magazines doing hair and makeup for photoshoots in the past that were located in Florida. That is when her love of doing hair and makeup for big events really came in to play. Brittany has continued that passion at her salon doing hair and makeup for weddings, proms, pageants, and more. Being a cosmetologist is not just a job for Brittany, it's truly a passion. 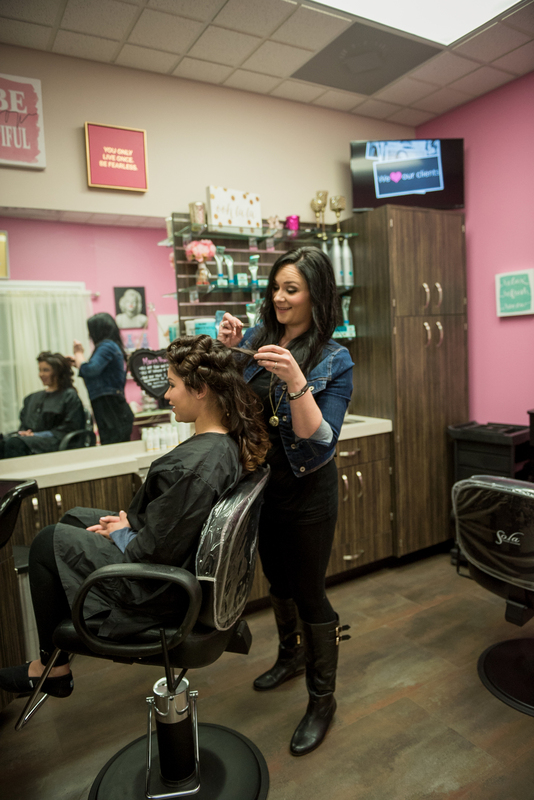 Beauty Mark Hair Studio prides itself in being an exclusive Rusk hair salon. 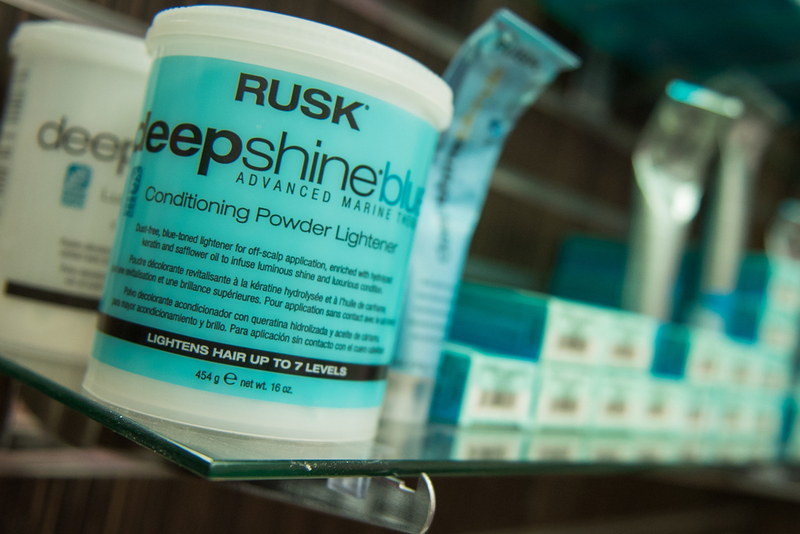 Rusk hair care products and deep shine conditioning cream color is made for any and every hair type! Their deepshine conditioning cream color uses the most advanced hair color technology from Italy. With micro pure technology it always ensures to penetrate deeply producing longer lasting color and shine results. With Rusk hair styling products, treatments, and styling products you will always leave the salon with healthy, shiny, and silky hair. Rusk hair products are all created to work together, so no matter the style or texture you strive for, Rusk ensures to create endless possibilities of shape, texture, and style. The added bonus is that they also offer onsite or in studio makeup and hair for weddings, airbrush makeup or traditional application, and updos for bride and the bridal party.